For those who enjoy the finer things in life, the Amir Side Chair is a must-have. The side chair includes a sleek, sophisticated and comfortable leatherette over foam seat and back for unparalleled comfort. Furthermore, the side chair's matte black, powder-coated legs help the chair make a distinct statement in any setting. Enjoy a stylish and elegant side chair that is sure to serve you well � the Amir Side Chair. Soft leatherette over foam seat and back deliver outstanding comfort and durability. 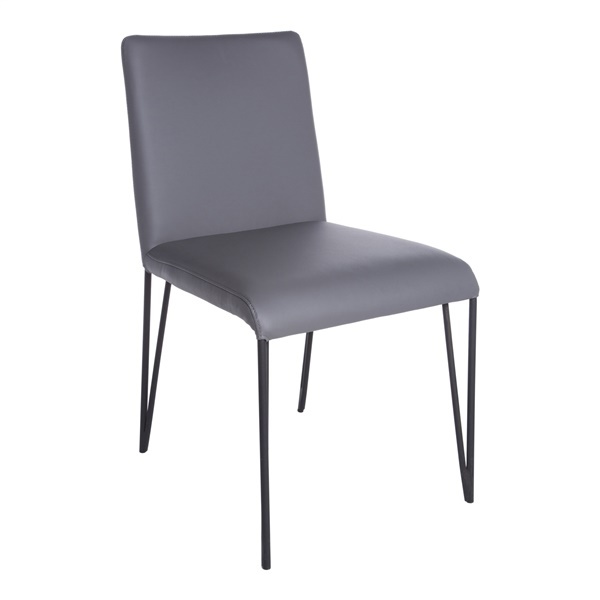 Features matte black, powder-coated legs that further enhance the side chair's overall appearance. Boasts a classic design to complement the d�cor just about anywhere.